Trending at $6.44eBay determines this price through a machine learned model of the product's sale prices within the last 90 days. Author: Alan Moore. (Item #Z0958578346Z3|0). Notes: Item in good condition. Condition: Good. V for Vendetta. Author: Moore, Alan; Lloyd, David. Notes: Item in good condition. Condition: Good. In very good condition, shipped with media mail. Trending at $6.00eBay determines this price through a machine learned model of the product's sale prices within the last 90 days. Watchmen by Alan Moore. Condition is Acceptable. Shipped with USPS Media Mail. A: If we have a book listed as "New", then that book is exactly that, NEW. If it is used it will be described as "Good". The binding will be tight and all of the pages are still attached. Q: After I placed my order I decided I don't need the book. Trending at $8.29eBay determines this price through a machine learned model of the product's sale prices within the last 90 days. Item Details. Other notes: LIKE NEW/UNREAD! Text is Clean and Unmarked! Has a small black line on the bottom/exterior edge of pages. The dust jacket shows normal wear and tear. The pages show normal wear and tear. Codes or product keys that accompany this product may not be valid. Fast Shipping in a Standard Poly Mailer! 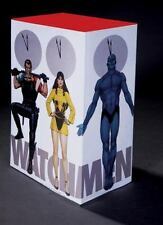 WATCHMEN GN, DC Comics Graphic Novel by ALAN MOORE New, Mint, Free Shipping! 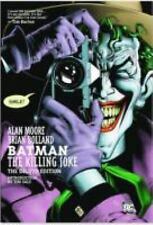 With a major motion picture in release spring 2009 from Warner Bros., Paramount Pictures and director Zack Snyder (300), this is the softcover edition of the Hugo Award-winning epic from writer Alan Moore and artist Dave Gibbons. 5 out of 5 stars - WATCHMEN GN, DC Comics Graphic Novel by ALAN MOORE New, Mint, Free Shipping! 2 product ratings2 product ratings - WATCHMEN GN, DC Comics Graphic Novel by ALAN MOORE New, Mint, Free Shipping! Moore resides in central England. Attributes: Graphic Novel, Hardcover, Deluxe Ed. Comics & Graphic Novels \ Superheroes. Publisher: DC Comics. Hardcover: 448 pages. Alan Moore's "Across The DC Universe" - softcover (first print). JUDGMENT DAY By Rob Liefeld - New " Last of Checker Production"
Featuring artwork by Rob Liefield and comics legend Gil Kane. 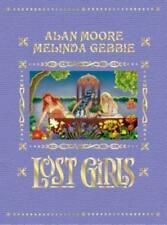 Full-colour illustrations throughout. Target Audience. Publication Year 2003. Publication Date 2003-11-26. Product Details. Product Identifiers. 5 out of 5 stars - JUDGMENT DAY By Rob Liefeld - New " Last of Checker Production"
1 product rating1 product ratings - JUDGMENT DAY By Rob Liefeld - New " Last of Checker Production"
Watchmen by Alan Moore (Paperback) Graphic Novel. Condition is Like New. Small flaw on cover, see photo right side of image. It has never been read/enjoyed since purchase. Shipped with USPS Media Mail. Condition: Good. Notes: Item in good condition. ISBN: 1563899752. 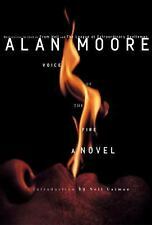 Author: Moore, Alan; Bolland, Brian. Batman Noir: The Killing Joke. Notes: Item in good condition. Condition: Good. Author: O'NEILL MOORE. Notes: Item in good condition. Condition: Good. Item Details. Other notes: LIKE NEW! Has a small black line on edge of pages. Item is in Good Condition. Clean Copy With Light Amount of Wear. About Book Outlet. © 2014 Book Outlet. A book in readable condition-- All of our items have years of enjoyment left in them. It MAY contain writing or highlighting on pages, The cover may show wear and tear, and or stickers/residue. Fast Shipping - Monday to Friday in Safe and Secure Bubble Mailers! Item is in Good Condition. Clean Copy With Light Amount of Wear. 300 PLUS PAGES. ALAN MOORE / DAVE GIBBONS. BOOK IS IN NEW CONDITION (SLIGHT SHELF WEAR). USED FREE SHIPPING (Media Mail) this is a used copy will show signs of wear from use.. the corners have a little curl but in good condition..
LIKE NEW CONDITION, with corners about 90% sharp as new, no other wear issues in 416 clean and solidly bound pages with LOADS OF GREAT COMIC ART AND STORYLINE! 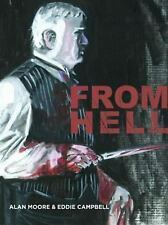 Title: From Hell (Paperback). Binding: Paperback. Manufacturer: Knockabout Comics / Eddie Campbell Comics. Language: English. Weight: 1,420.00 grams. Length: 192 mm. Width: 256 mm. Spawn Origins by Alan Moore (English) Hardcover Book Free Shipping! Spawn Origins by Alan Moore. This title features color and b/w cover galleries and behind-the-scenes art. Title Spawn Origins. Author Alan Moore. Format Hardcover. Author Biography. 5 out of 5 stars - Spawn Origins by Alan Moore (English) Hardcover Book Free Shipping! 1 product rating1 product ratings - Spawn Origins by Alan Moore (English) Hardcover Book Free Shipping! Item Condition: Used - Good. Rick Veitch. 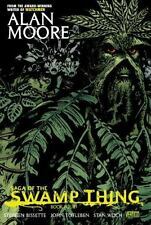 Saga of the Swamp Thing. Author:Rick Veitch. Series:Saga of the Swamp Thing. Language of text Language of text:English. Competitive prices. counterfeits - ever!